The program begins with intensive leadership training in Washington, D.C., where you will visit community organizations and explore what it means to be a change maker. Depart for India’s capital, New Delhi, to learn about the country’s history, explore open air markets, and visit Gandhi’s tomb. Against the backdrop of this dynamic environment, advance your leadership skills and knowledge of global health and its relationship with community development. Through site visits, lectures, and workshops in four Indian states, you will explore health care rights, challenges to gender justice, the political economy of health, social determinants of health, caste discrimination, and other critical issues. Work with local youth to create your own community development project. As your knowledge of India’s community development and health care issues grows, you will experience Indian culture and daily life through a two-week homestay with an Indian family in a mountain village in the Himalayas. There, you will meet with community leaders, public health specialists, and grassroots activists. Learn the basics of the Hindi language and practice in markets and restaurants and on train rides across the Indian countryside. Visit the Taj Mahal, a UNESCO World Heritage Site. Compare India with its neighbor, Nepal, as you travel to meet with a network of youth organizations to explore issues of public health and gender rights. Learn about Nepal’s public health and disaster response as well as their social entrepreneurship and innovation initiatives. Continue to advance your leadership skills as you return to the U.S. for guided project planning in Vermont. Throughout your senior year, you will work with a Leadership Institute mentor and cohort of peers to implement a community project in your hometown. U.S. citizens require a visa for this program. Originally hailing from Cincinnati, Ohio, Emilie currently lives in The Big Apple where she works with Girl Be Heard, a nonprofit that uses theatre to empower young women to be active agents of social change. Before putting roots in the New York concrete, Emilie studied and lived around the world in her quest to better understand how local solutions can change global systems of social inequality. She received a BA in global studies with a concentration in gender studies and youth engagement from Long Island University Global. Emilie has worked with NGOs such as the Tibetan Women’s Association, the Costa Rican Humanitarian Foundation, and the Center for Community Dialogue and Change (Bangalore’s first Theatre of the Oppressed organization). She is an extremely passionate social justice advocate, long-term learner, and life enthusiast who believes that study abroad can be one of the most meaningful and transformative experiences a student can have. 2015 marked Emilie’s second year as an Experiment group leader; she previously led a program exploring regional identity in France and Italy. When Emilie isn’t traveling, you can find her making vegan experimental baking messes in her tiny Brooklyn kitchen, attempting to teach herself Arabic, and exploring her own ever-changing city! Sarah Robins is based in the Boston area, where she was born and raised and now works at a charter middle school. She graduated from the University of Massachusetts, Amherst, with a BA in international relations and human rights. During college, she also studied in New Delhi, India, through World Learning’s SIT Study Abroad program. Back in Massachusetts, she co-founded “J Street U,” a student interfaith organization focused on conflict transformation in Israel and the Middle East. Sarah has also served as a research assistant for the United Nations Permanent Forum on Indigenous Issues, the outreach coordinator for UMass’s Student Union Craft Center, and the leadership development coordinator at Camp Shemesh in Amherst. While Sarah’s first love is teaching, her second love is travel and intercultural learning. In addition to studying abroad in India, she has lived in Israel and traveled to 21 other countries. Some of her favorite travel memories are of overnight trains through India, colorful markets in the Caribbean, and meeting fascinating people in youth hostels in Europe. When she is not teaching or traveling, she loves canoeing, berry picking, reading, singing, and exploring farmers’ markets. Examine public health priorities and community development in urban and rural areas of northern India. India’s capital, New Delhi, and the immediate surrounding region is home to more than a thousand NGOs actively engaged in the health and development sectors. The National Human Rights Commission, the National Commission for Women, and other rights-based bodies have headquarters in New Delhi. Within this dynamic environment, advance your leadership skills and knowledge of a critical global issue—health and its relationship with community development—building on the intensive training and leadership sessions you received in Washington, DC. 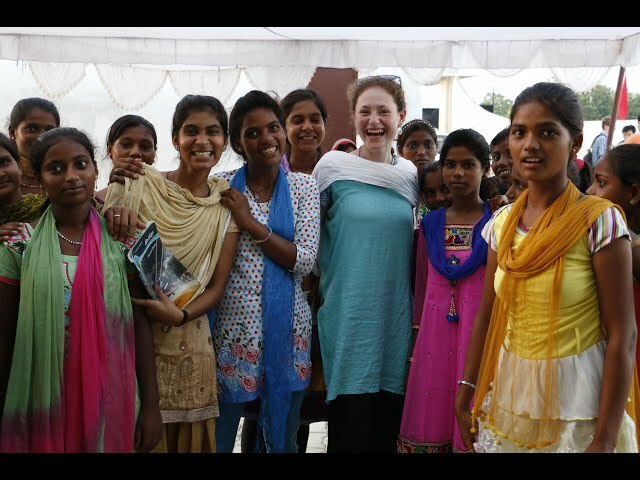 Through lectures, site visits, and workshops in four Indian states—Delhi, Uttarakhand, Rajasthan, and Uttar Pradesh—you will explore equity and healthcare rights, challenges to gender justice, the political economy of health, social determinants of health, caste discrimination, and other key issues shaping Indian communities and the country’s healthcare landscape. Hone your leadership skills by facilitating weekly syntheses of learning and reflection, which may include debates, question-and-answer sessions, and small-group activities and discussions. Together with your group, consider strategies for community development and healthcare advocacy within the public health arena as you meet with community practitioners, public health specialists, physicians, professors, and grassroots activists across northern India. During the rural excursion to Bahraich District in Uttar Pradesh, participate in a seven-day workshop with a local organization working for improved public health, community development, women’s rights, and/or human rights. 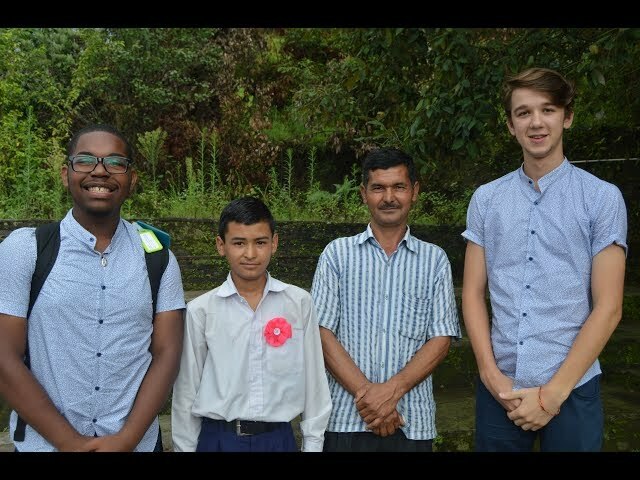 As your knowledge of India’s community development issues and healthcare challenges rapidly expands, you will experience Indian culture and daily life, especially through the homestay with an Indian host family in a mountain village in the Himalayas. Receive functional Hindi language instruction, and visit important cultural and historical sites including the Taj Mahal. Other activities include meeting with Indian high school students and other youth who are advocating civic engagement and social change. Finally, return to the US for project planning sessions, briefings, and brainstorming sessions on a post-program project of your choosing to be implemented in your home community. Following your month in India, continue to advance your leadership capacity as you return to the US where you and your group spend four days on the School for International Training campus in southern Vermont.